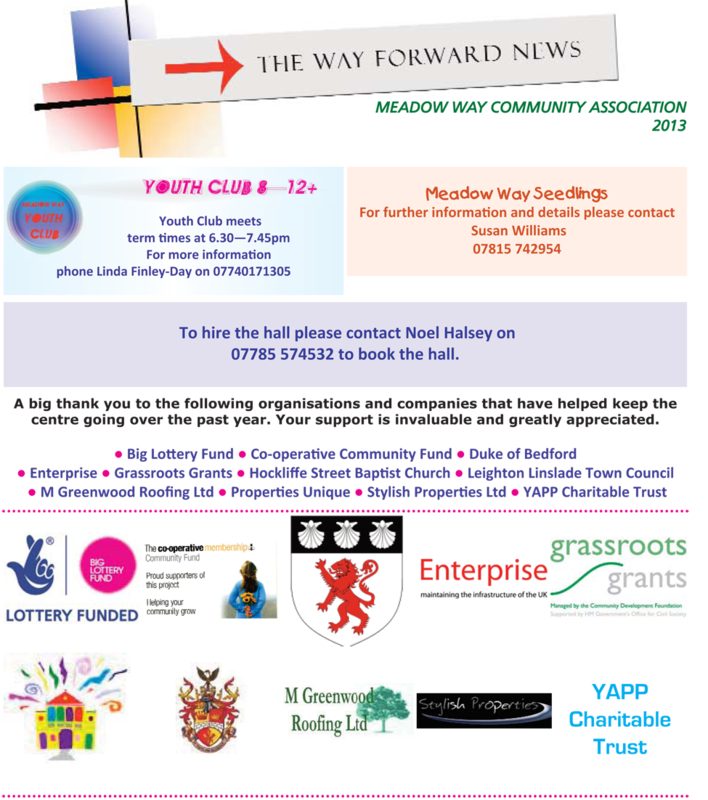 Welcome to the Meadow Way website. What’s it all about? It’s to communicate with anyone interested in community—getting together, having fun, learning, mixing, dancing, music, painting, craft, chatting—anything! But to do that you need to COMMUNICATE—share your ideas. The Centre isn’t just for residents—its for the benefit of Leighton Buzzard and surrounding areas.